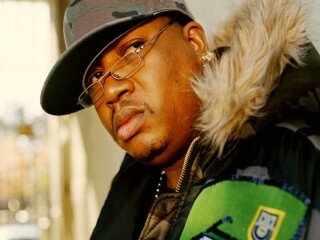 Birthplace : Vallejo, California, U.S.
Earl Stevens, better known by his stage name E-40, is an American rapper, entrepreneur, and investor from Vallejo, California. He is also part of the rap group The Click and the founder of Sick Wid It Records. In 2008, E-40's new album The Ball Street Journal came out, with "Wake it Up" featuring Akon as the lead single. "Got Rich Twice" featuring Turf Talk followed. On March 29, 2011, E-40 released two albums called Revenue Retrievin': Overtime Shift and Revenue Retrievin': Graveyard Shift.In November 2010, E-40 and Too Short announced that they will release a collaborative album in Summer 2011 entitled The History Channel. E-40 will also perform at the Gathering of the Juggalos. -In a Major Way Jive, 1995. -Tha Hall of Game Jive, 1996. -The Element of Surprise Jive, 1998. -Charlie Hustle: The Blueprint of a Self-Made Millionaire Jive, 1999. -Loyalty and Betrayal Jive, 2000. -Grit & Grind Jive, 2002. -Down and Dirty Jive, 1994. -Money & Muscle Jive, 2001. -The Last Days Jive, 2001.